Palms Pool and Dayclub is now CLOSED for renovations. 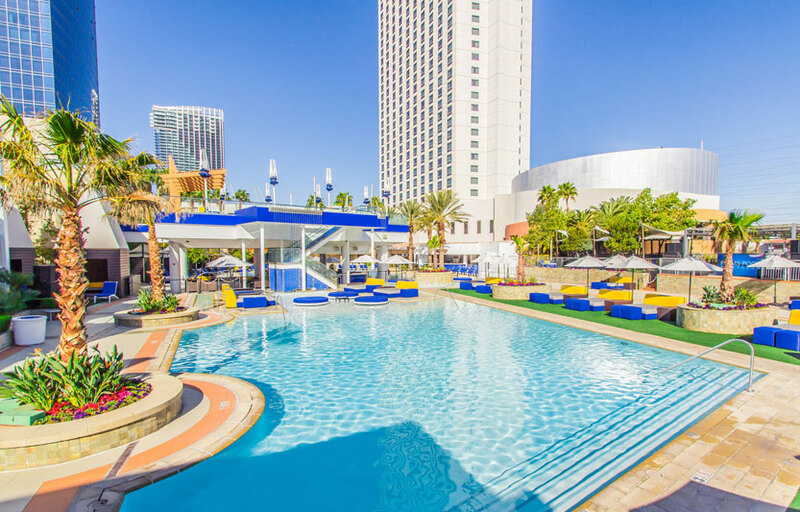 Palms Pool and Dayclub brings entertainment poolside with its special events and decked out party cabanas. Ordinary cabanas just protect you from the sun in between dips in the pool and races to the bathroom, and give you that exclusive feeling of having a bit of canvas and wood in between you and the riff raff — or Riff Raff if that guy shows up. But Palms Pool and Dayclub also includes gaming consoles like Xbox, PS3 and old school NES, so you can ignore other humans even while you’re at a pool party. But the fun doesn’t stop there. Cabanas and daybeds must be reserved with a food and beverage minimum, but the lounge chairs are first come, first served. The full space also has lily pads available for those willing to brave the sun. And DJs bring the music so you don’t feel obligated to make small talk while you’re wearing a skimpy bathing suit. They’ve also got food to give you an excuse to stay out of the pool without having to admit that the chlorine irritates your bikini wax. One food option is “Atomic” wings, just in case the Vegas weather isn’t hot enough for you. And of course they’ve got plenty of drinks to keep you hydrated, or at least too drunk to realize you’re sweating vodka. Palms has two pool complexes; one for partying and one for relaxing. It is off the strip so a cab ride is required. Quench your thirst before entering as water is expensive inside. We have a free guestlist for Palms Pool. Where is Palms Pool and Dayclub located? 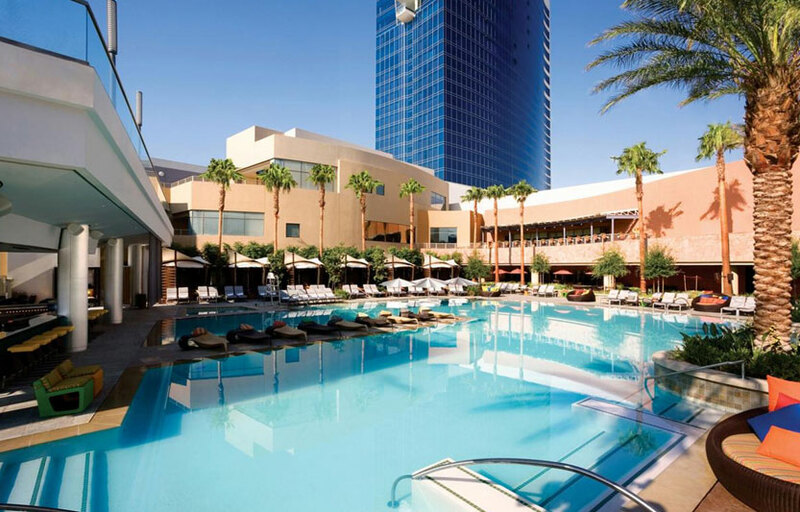 Palms Pool and Dayclub is located in the Palms Casino Resort in Las Vegas. 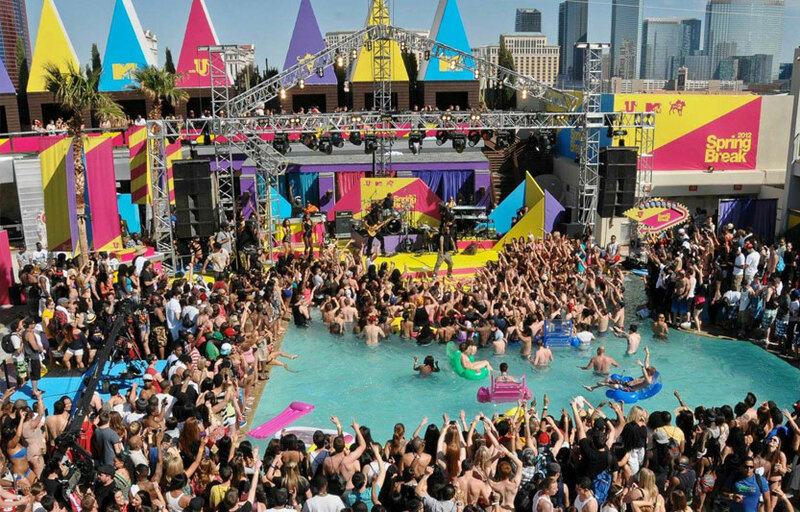 How much is cover charge at Palms Pool and Dayclub? Palms Pool and Dayclub typically charges a cover ranging from $10-30 for men, and usually free for ladies. How long will I have to wait at Palms Pool and Dayclub? When is Palms Pool and Dayclub open? Palms Pool and Dayclub is open on Fridays and Saturdays. What are the best days to go to Palms Pool and Dayclub? Both days are pretty good, but Ditch Fridays is a very well known Friday pool party. What is the dress code at Palms Pool and Dayclub? How much do drinks cost at Palms Pool and Dayclub? Expect to pay $20-40 for cocktails. What kind of music do they play at Palms Pool and Dayclub? Palms Pool and Dayclub features mostly top 40, with a mix of EDM. Where can I find an list of upcoming events / DJs at Palms Pool and Dayclub? You can download the Discotech app to see upcoming events, and book tables for Palms Pool and Dayclub.